Nick has over twenty years experience in the IT industry, the last ten of which have been focused on Service Management solutions. Nick has experience of hardware, software and services cross-industry with global enterprise and general business clients in UK and Europe. 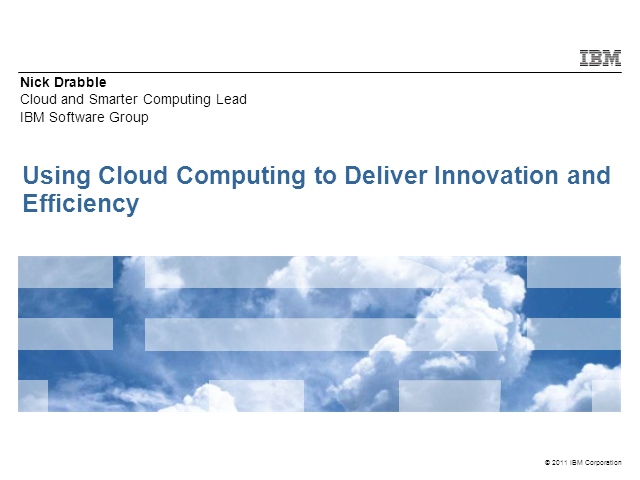 Nick leads the Cloud and Smarter Computing Initiatives within IBM Software Group UK. This helps customers gain significant cost reduction, service improvement and reduced risk benefits by leveraging service automation and real-time infrastructure optimisation, driven according to business rules in response to demand.